Warm weather is just around the corner which means that it's time to put your best skin forward. Lola's Secret Beauty Blog recommends the Ellen Lange Retexturizing Peel as a fantastic at-home Peel Kit that will effectively reveal gorgeous glowing skin! 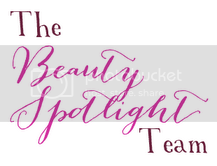 Prime Beauty finally found the bareMinerals True Romantic Collection and it's THE perfect soft, feminine mix of makeup for spring and the romantic in all of us. Carrie from eyeliner on a cat is singing the praises of New Zealand skin care brand Obiqo-- and she's hosting a fabulous Giveaway for two full-size products! You have until Monday evening to enter. 15 Minute Beauty shares some great neutral lippies for spring, which are on her shopping list. Which should she buy first? The Pink Sith shows you three of the new L'Oreal Paris Color Riche Extraordinaire Liquid Lipsticks and reminiscences about being a band geek all at the same time. Love multichromes? Phyrra shows off her current favorite ILNP Washing Ashore. China Glaze will be launching its Spring speciality collection, Surprise, in April. Check out swatches now on polish insomniac! Mostly Sunny has been enjoying the new Chanel Les 4 Ombres. For those who enjoy smokey eyes, Tissé Gabrielle is definitely worth a look! Do you love intensely pigmented cosmetics? Pammy Blogs Beauty checks out new line additions to the Prestige Total Intensity collection! Come have a cuppa at drivel about frivol with Kate's selection of favourite tea perfumes. There will be cake.... Do you have a memory of Dippity Do? Perilously Pale would like to change that memory to a 2014 memory.